Darjeeling: The Gorkha Janmukti Morcha has requested the Bengal government to change the nomenclature of the university to be set up in the hills from Greenfield University to Darjeeling University so that it in sync with the hill sentiments. Amar Singh Rai, the Darjeeling MLA, said: "We are grateful to chief minister Mamata Banerjee for setting up a university in the hills. The university will be of immense help to the hill people. During discussions, I also requested the state to change the name of Greenfield University to Darjeeling University so that the name of the varsity can strike a chord with the hill people." The government's decision to heed to the GTA's demand for a varsity in the hills is expected to come as a major fillip to Morcha leader Binay Tamang. 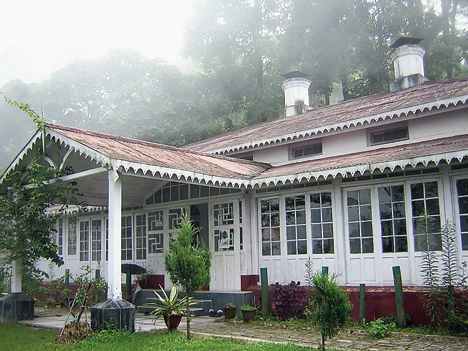 The varsity will come up at Jogighat in Mungpoo, about 30km from Darjeeling, in an area of about 100 acres. Keshav Raj Pokhrel, a central committee member of the Morcha, on Wednesday termed the decision to set up a varsity as equal to "Gorkhalad in the field of education". "To have a state university in the hills is akin to getting Gorkhaland in the field of education. We thank the state for this decision," said Pokhrel. Biswas Chhetri, the assistant general secretary of the Vidyarthi Morcha, termed the development as a matter of "immense pride for the hill people". "It is a matter of immense pride for the entire hill people. The setting up of a varsity will bring about not only educational progress but also great economic and socio-political progress," said Chhetri. The Gorkha Janmukti Morcha has requested the Bengal government to change the nomenclature of the university to be set up in the hills from Greenfield University to Darjeeling University so that it in sync with the hill sentiments.